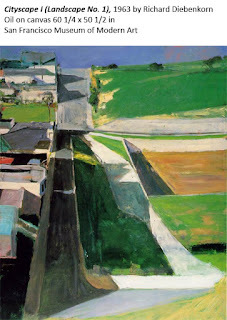 I used to think that when I matured as an artist I would paint like one of the Bay Area figurative artists especially Elmer Bischoff or Richard Diebenkorn. In 1993 when I was in grad school is when I really became aware of Bay Area figurative art from the 1950s. I was going to school at Davis California at the time and had grown up on the eastern seaboard primarily in New York City, and many of my teachers even at the undergraduate level never even mentioned in an art movement on the West Coast. While I was in graduate school at Davis a couple of my favorite artists, including a friend named David Tomb , talked quite a bit about Richard Diebenkorn. They were really taken with his Ocean Park series, but David was particularly attracted to his figurative work. Quite by accident, a friend of mine owned a frame shop in downtown Davis and would occasionally frame art from a local art gallery by an artist named Kim Froshin. What I liked in particular about most of these artists was the fact that they use the human figure. 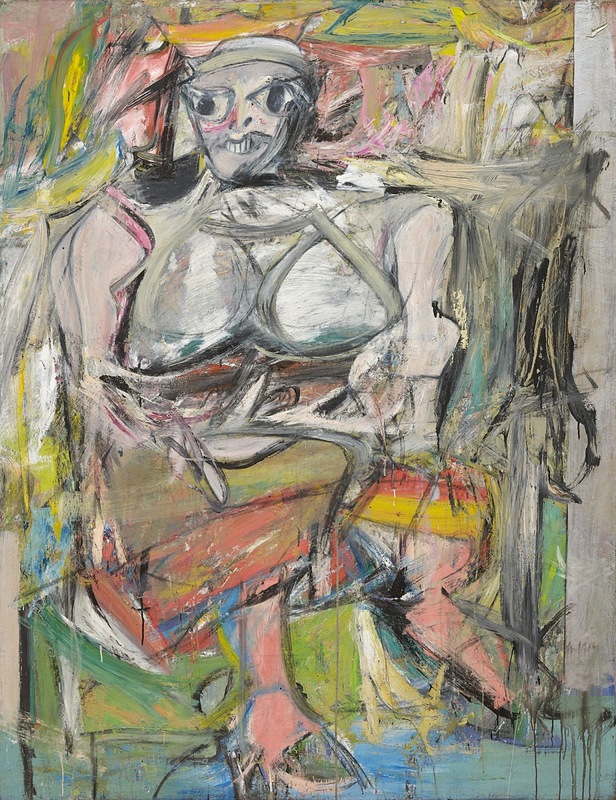 In addition to that they also used paint and color in a way that was very similar to artist that I thought were particularly good, Mark Rothko, and de Kooning. 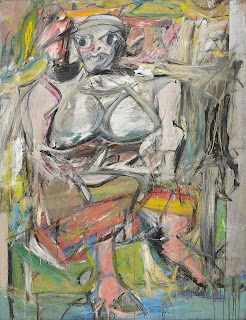 In a way the main difference that I saw between the West Coast Bay Area artists of the 1950s to the East Coast abstract expressionists was the use of a figure and the creation of space. For me, this tidied up the reconciliation between abstract form and realistic imagery in art that I craved in 20th century art. 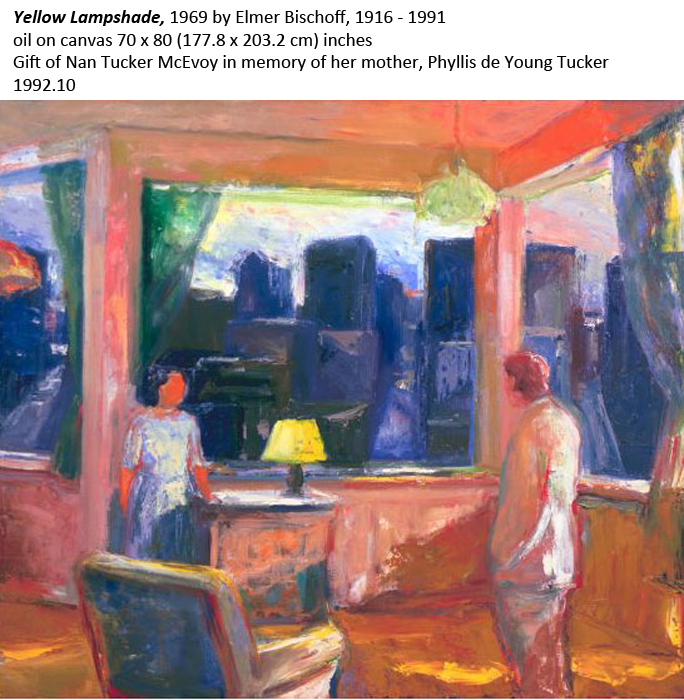 It was almost as if John Singer Sargent, Edward Hopper, and Willem de Kooning, were brought together in some sort of strange hybrid in the work, especially of Elmer Bischoff. 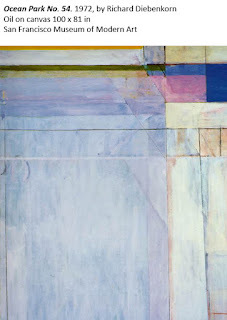 Bischoff combined thick painterly passages, the creation of space, color theory, and a love of clunky almost unrealistic, naïve, and aggressive drawing together with some interesting iconography subject matter. In Bischoff’s painting, Yellow Lampshade, he creates a painting that looks a bit like one of Edward hoppers psychological interiors but makes it more interesting on a level beyond that in terms of color theory. 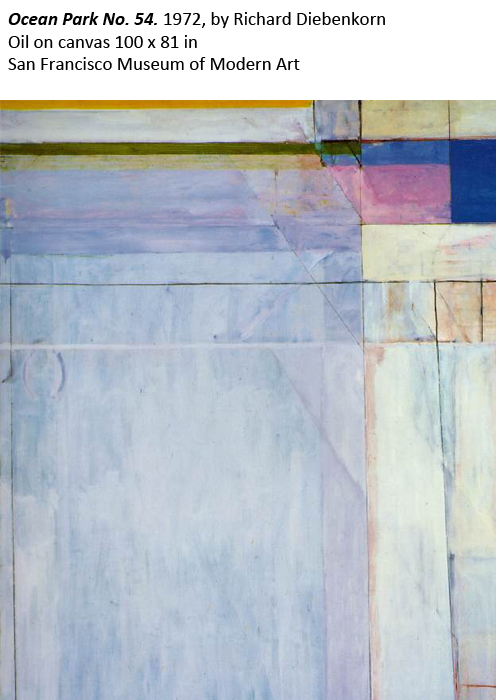 In this painting, the interior color of the light is warm orange and yellow, and as you look outside the window you see a ceiling that is made up of all cool or blue tones. It kind of tells a story through color that is similar to the story it tells in terms of the subject matter of the interior apartment at dusk with two figures speaking in a comfortable living room.